Encinitas Therapist: Pamela Polcyn - Therapist 92024. Send A Message To Dr. Polcyn. Recognize, Allow, Accept and Nourish the parts of you that are longing to thrive rather than just survive in life. I provide a safe therapeutic environment in which your issues can be explored and resolved. You can become free of the stress and emotional drain of challenges you are currently facing. My approach provides you with an opportunity to move beyond coping and to explore your unique purpose, to align with your authentic self, to improve your relationships, to clarify your career path and to enhance your quality of life so that you can thrive and free yourself from fear. 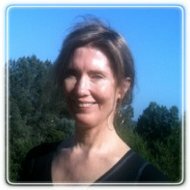 I employ a compassionate, creative and unique approach to your therapy process. In a safe and supportive atmosphere you will move beyond old unproductive habits and learn to utilize understanding, resilience behaviors and insights gained in sessions. My goal for you is to move through counseling in the most beneficial and efficient way. This results - oriented approach helps you to resolve symptoms and issues as you move forward to fully enjoy your life, relationships and purpose. I understand how difficult it can be to find the right therapist. I will work with you to identify the specific areas that you would like to address and then develop a plan that includes creating structures that will support you in transforming your life. I currently provide services for Encinitas, Carlsbad, Solana Beach, Rancho Santa Fe and the greater San Diego area. For clients elsewhere, I am an e-counselor and provides phone counseling to individuals anywhere in the world. Don't hesitate to call me to discuss your needs and how my experience and training can assist you in moving beyond problems and issues towards resolution, healing and happiness. Dr Polcyn has a Phd in Clinical Psychology from the Union Institute and a Masters in Counseling Psychology from The Professional School of Psychological Studies. She has certifications in Anxiety treatment, Substance Abuse Recovery, Adlerian Individual Psychology, Hypnotherapy, Hospice, and Divorce Mediation. She has intensive training in anxiety disorder treatment, mindfulness, meditation, relaxation,EFT, focusing, stress reduction, relationship therapy, family therapy, client centered therapy, anger management, crisis intervention, coaching, AEDP and CBT. She continues to expand her knowledge base so that she can provide you with the best therapy and coaching. Consultation: I offer a Free Telephone Consultation to discuss the areas for which you need assistance. Please contact me at endanxiety.com or 760-753-1551 to arrange to speak with me. I look forward to hearing from you.